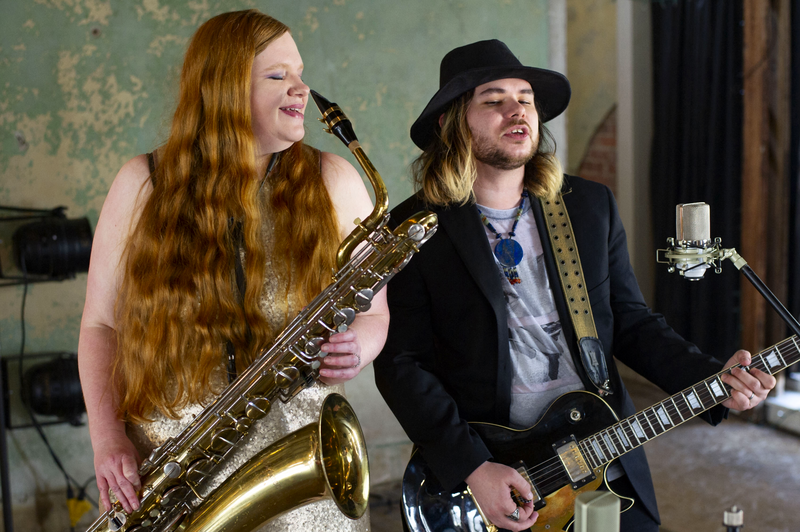 Monsterboy is Chris Long and Veronica Wirges, a husband and wife duo out of Little Rock whose love story captivates audiences one room at a time. After being discovered at a Bonnaroo open mic by MTV.com, the couple took on the task of finding a method for capturing the music that was playing in their heads. The duo landed on recording everything for Monsterboy in their home studio, influenced by creatives such as Beck and Prince. Each instrument is separately tracked out and layered to realize the finished song, often using classical or tribal instruments in non-traditional pairings to get the feel they know the song needs. Monsterboy is a genre-less artist, marrying indie pop with elements of alternative, folk, and grunge. Each song is uniquely Monsterboy in composition and vibe, regardless of the genre it is labeled. Their reworked covers are crowd favorites as each song is re-envisioned to feature a baritone saxophone. 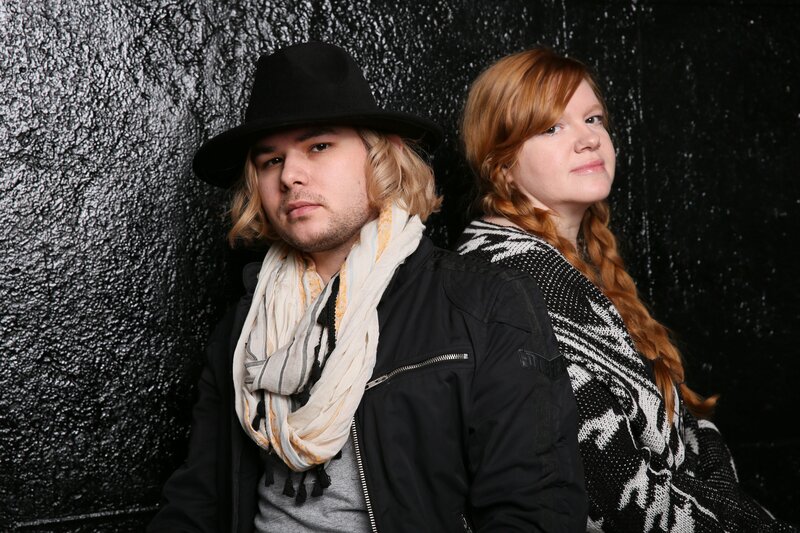 This power couple has found that being a duo has its perks on live performances, as acoustic gigs lend a more intimate vibe for coffee shops, college campuses, and house shows. 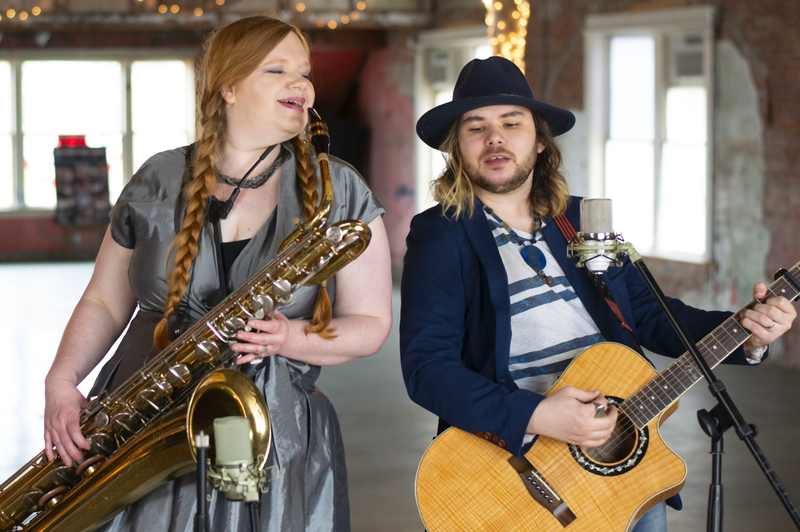 Alternatively, they can showcase the multi-instrumental skills of both musicians on the larger stages of venues and festivals. Monsterboy has supported acts such as GGOOLLDD, Wild Moccasins, and Vesperteen, as well as featuring at festivals like SXSW and Solar Flux. 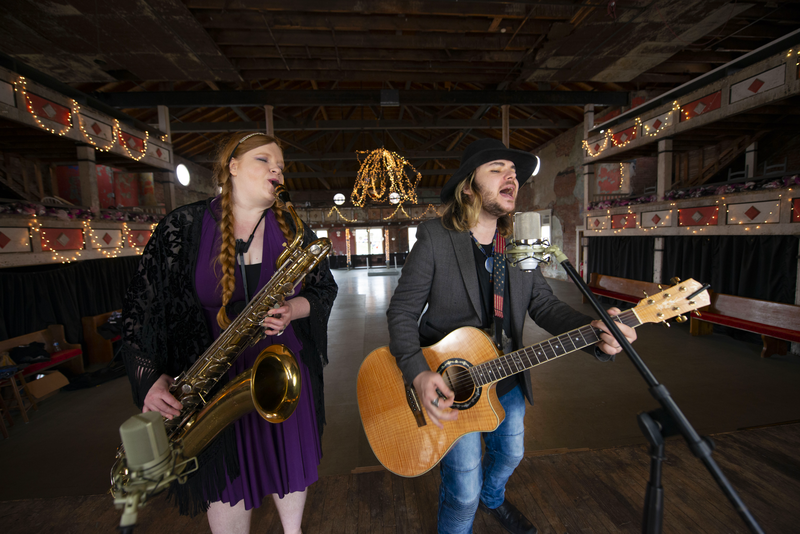 The act is looking forward to touring regionally this year, while continuing their waterfall release of a new song every 3 weeks. Mid TN Music: "Monsterboy delivers infectious and uplifting song arrangements which will stick with you long after each song ends. " 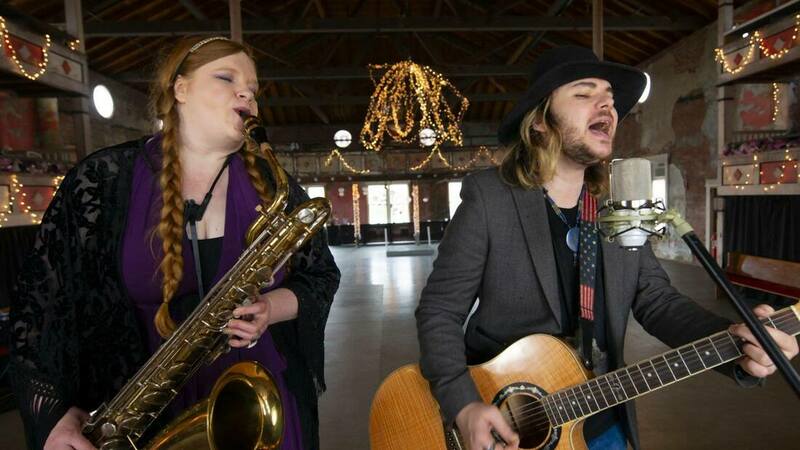 Arkansas Democrat Gazette: "first single, the fiercely catchy, radio friendly "My Heart,"
UALR NPR Tiny Desk:"Chris Long and Veronica Wirges of Little Rock, who combine smart, original vocals with powerful sax music." All songs have been released as singles - however they are grouped by the experience that inspired them. Think Big Little Rock 2017:Art and Culture Development think tank sponsored by Little Rock Chamber of Commerce and 50 for the Future.